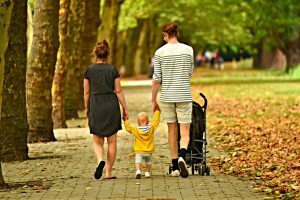 Home / How to prepare your family for moving abroad? Moving to a new country is a hard thing to do; however, moving with your spouse and children is even harder. Everything becomes a little bit more complicated. There is paperwork, packing, shipping your stuff, making your new house feel like a home and many other things you have to worry about. Moreover, if you do not speak the language of your new country, Google translate will probably be your best friend in the beginning. So, be prepared for everything. Make sure to talk to your children and prepare them before the actual relocation. Preparing ahead of time is the key. If you are interested in how to prepare your family for moving abroad, keep on reading. The decision is now final. First things first, call for a family meeting. To make things easier, try to make everybody feel as comfortable as possible. Create a familiar atmosphere. You can order pizza or cook your family’s favorite meal. Sit down and start your casual conversation. Make sure to mention all the details about the move with your family. Also, tell your children that you will need their help with the relocation process. Involve them in the packing and unpacking part, as well as choosing their new room. These kinds of things will make your children feel excited. And that is the point! Knowing how to prepare your family for moving abroad is tough, we know, but fear not. Having a family meeting is an excellent way to start. Having a meal together with your family is the best way to bond with each other. 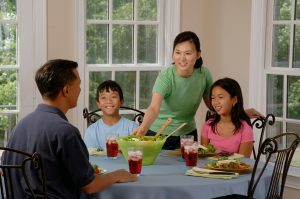 During your lunch, try to have a positive talk about the relocation process. Take With Me Box – this is for all the things that you will be taking with you to your new home. Recycle Box – if you have old notebooks, cardboard boxes, water bottles and similar things lying around, you know what to do. Donate Box – for all the things that are in good shape, but you do not want to take with you, consider donating them. You can give away old furniture, clothes, or toys that your children do not play with anymore. Sell Box – If you want to earn some extra cash on your old stuff, you can sell them online or organize a yard sale. You can involve your entire family in this process. Throw Away Box – if something is just broken and unuseful, you know where it belongs. Do not get over sentimental. If possible, before the moving day, visit your new county. It is essential to know where you are moving. Seeing the new city and house can be the best way to prepare your family for moving abroad. Try to meet many people and find out what is essential when it comes to culture and customs. That can also be a great language practice. Make sure that your children, spouse and yourself learn the basics of the new language before relocating for good. Also, this can help you adjust to a new climate. Moreover, if you already bought the house, you can show it to your children. By picking their rooms, they may become excited and you can avoid stressful situations that lay ahead. To prepare your family for moving abroad, you have to do a site visit. Visit your new house, neighborhood, schools and local restaurants for example. Another thing that you might want to do before the relocation day is to organize a party. That can be a ‘Goodbye Party.’ Make sure to call all of your family members, close friends, colleagues, and your children’s classmates. Include all your favorite people. If the weather is nice, it is always a good idea to organize a barbecue outside. Decorate your yard with some fun stuff and play some music. Remember that this should be a fun event, not a sad one. Moreover, be sure to exchange contact information with everyone. Besides having everyone’s phone numbers for texting and phone calls, you should also get everybody’s social media accounts. Skype and Facebook are the best solutions for long distance chatting. Try to have fun and to say goodbye to everybody until the next time. That is a great way to prepare your family for moving abroad. If you or your family members are feeling sad or nostalgic, talking with somebody familiar can help a lot. If seeing in person is not possible, at least try talking over Skype. After you have arrived at your new country and started settling in, it would be a good idea to be a tourist in the new place. Relocation process takes up a lot of time and energy. Moreover, you and your family are probably feeling lonely or nostalgic, so try to do something about that. The best way to get rid of nostalgic feelings is to do something fun and exciting. So, leave your house, and start exploring. You can start small at first, by checking your street and neighborhood. After that, go bigger, visit downtown, park, and beaches. Trying local food in some new restaurants is always a good idea. Whatever you decide to do, make sure that it is fun for the whole family. Good Luck!